In the past week, those pesky little bugs called Midges returned to the region big-time. The good news is: They don't bite. 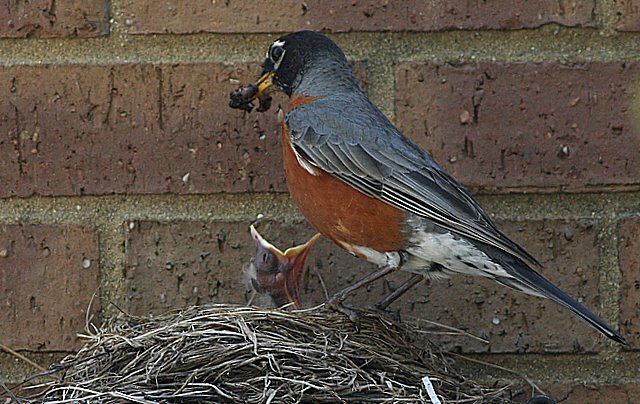 They provide plenty of food for all those beautiful little birds that hang out in DeKorte and elsewhere in the Meadowlands. And their larvae is great food for fish. All part of nature's great food chain. 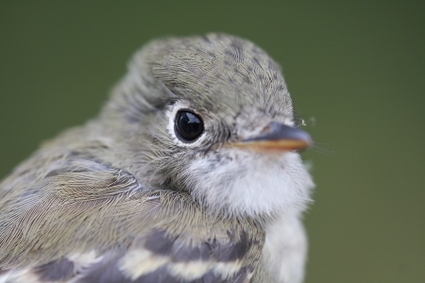 Meadowlands Environmental Research Institute staff have been busy in the field. In the photo above, (left to right) Danielle Cioce, Ed Konsevick and Joe Gryzb take sediment samples at the Secaucus High School Marsh to see if the new clean sediments brought into the site remain clean after being exposed to the tide. Thomas Knoop caught this recent shot of a Tree Swallow in flight at DeKorte Park. 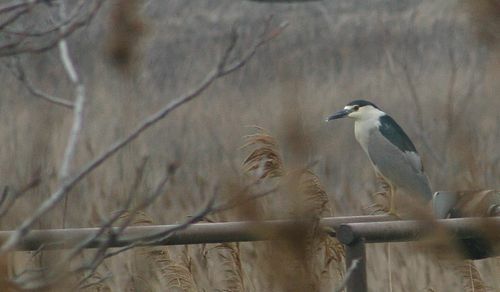 Harbor Herons Project Update — Counters wanted! NJAS is holding another four-hour seminar for prospective survey volunteers at DeKorte Park on Saturday, May 30. The first seminar, held last Monday, drew roughly 20 people and offered all sorts of information on survey techniques, bird-ID tips, and an overview of the Harbor Herons program. Click immediately below for more information from NJAS. Colleen Reynolds of The Leader Newspaper did an informative article on the wonders of the region's wetlands — with some photos by her Leader colleague Alexis Tarazzi. "It was high tide as our watercraft ventured along the Hackensack River, and we were treated to an avian show of splendor," she writes. "Ink-black double-crested cormorants perched regally atop wooden pilings, northern harriers swooped past and graceful snowy egrets waded at water’s edge. 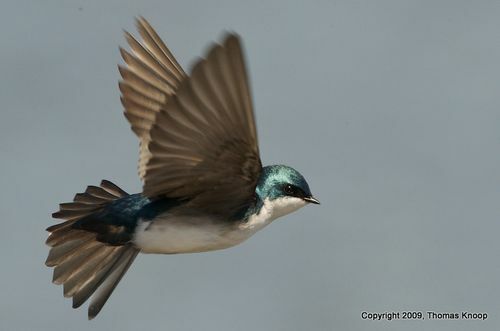 Tree swallows, a type of aerial feeder, were munching on midges while gliding through the air…." The link to story is here. The Star-Ledger did a solid video on the river's comeback, here. And Celeste Regal of The Observer did a fine story on the palliative powers of spending time on the river. Link is here. Link to post about the Meadowlands Commission's Pontoon Boat Eco-Cruises is here. Next time you visit DeKorte Park, take a walk on the marsh Discovery Trail. There are swallows galore. Although the Tree Swallows tend to get the most attention because they perch so cutely on their nestboxes, their cousins the Barn Swallows may be even more handsome. In the shot above, four Barn Swallows perch on t he same branch. On that same tree, Barn Swallows and Tree Swallows often perch together. 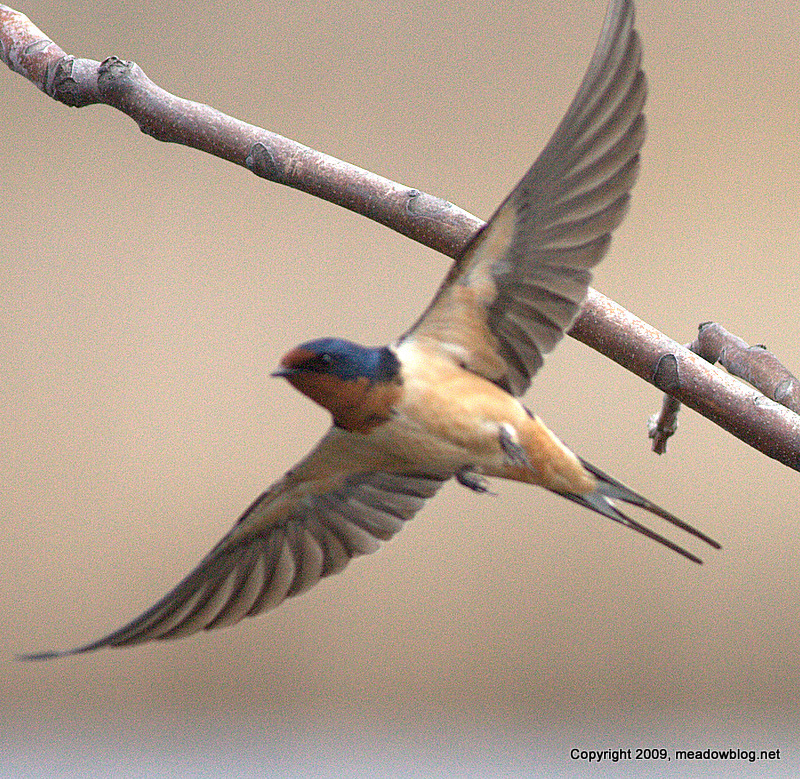 At right, a Barn Swallow takes off from the branch, showing his beautiful wingspan. Note the forked tail. The Barn Swallows have been known to nest in the observation blinds along the trail — if you get too close a nest this summer, you may get dive-bombed. 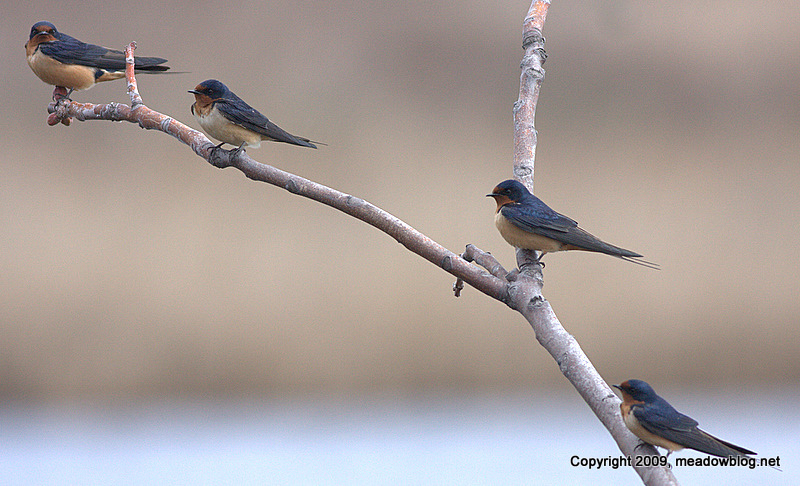 More on Barn Swallows here. Noted regional historian Kevin Wright is speaking at the Meadowlands Environment Center in DeKorte Park, Lyndhurst, on Friday at 12:15 p.m. (just past noon) on the history of the Meadowlands, pre-1969. This is an encore presentation — we saw him give this talk in February, and he was great. With great archival images to boot.